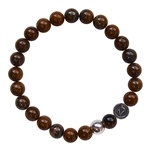 zen jewelz offers a full selection of healing bracelets made with healing crystals for every spiritual, physical and emotional need. 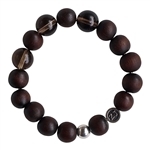 Choose from bracelets with charms, bracelets with wood beads as well as unique one-of-a-kind pieces. 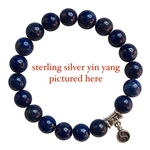 We are confident that you will find a stretch bracelet that will perfectly compliment your style and healing needs, making you feel like you never want to take it off! Custom wrist sizes available, contact us to learn more about sizing.